Electrical distribution involves transporting high voltages over long distances with conventional AC current which brings about more high losses. These losses can be eliminated by some innovative energy saving methods. Renewable energy sources should be used wherever they are available in abundance, from wind power on the high seas to solar energy in hot areas. The renewable energy can be transmitted to far-off places using HVDC (High Voltage Direct Current) transmission lines. The HVDC makes it possible to transport electricity over long distances with low losses. Direct current lines reduce transmission losses by 30 to 50% as compared to alternative current lines. Another benefit with HVDC is that it can transport more power than a conventional AC transmission line. Thus, HVDC lines can be used to carry high voltage DC current over long distances with minimal losses and help to save power and energy. The transmitted Direct Current can then be converted to AC current by having HVDC inverters at the destination locations which can then be used for industries and houses. Moreover, the HVDC lines are much less prone to failures of their parts and so frequent electricity shut downs can be eliminated. Towers are cheaper, simpler and narrower. IoT can help in the matters of early energy waste detection. IoT will induce a system which includes real-time alerts, periodical notifications, accurate and predictive analysis along with astute reports based on the energy consumption patterns, current, voltage and PF fluctuations. IoT connected solutions are ready to improve every aspect of electrical of electrical distribution system. They take total control of the system with real time data and smart analytics for predictive maintenance. Utilizing the Internet of Things (IoT) technology in the smart grid is an important approach to speed up the information in a power grid system, and it is beneficial for the effective management of the power grid infrastructure. Disaster prevention and reduction of power transmission lines are important application fields of IoT. 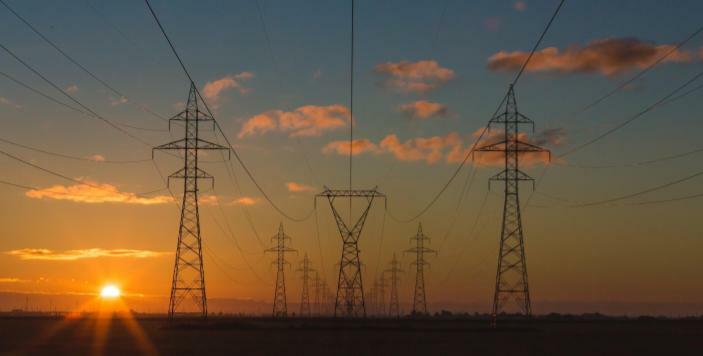 Advanced sensing and communication technologies of IoT can effectively avoid or reduce the damage of natural disasters on the transmission lines, improve the reliability of power transmission and reduce economic loss. Did you enjoy reading this article? There is more for you! Check out this Innovative Mechanical System for Overhead Line Protection Challenge and win a 11k GBP cash prize! Industrial IoT is booming thanks to a drop in Sensor PricesHow is Predictive Maintenance Impacting the Energy Sector?